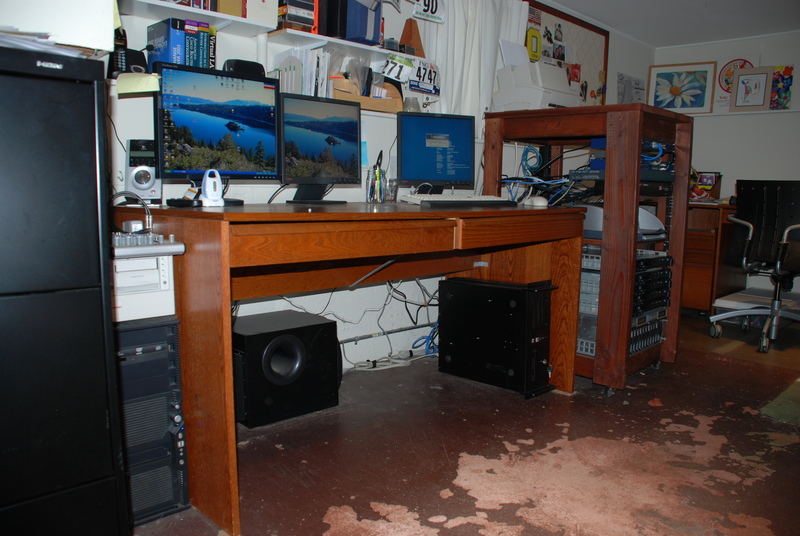 I was experimenting with windows server clustering On Windows Server 2003 and snapped these photos of my lab. My intention was to build a tiered web architecture using multiple load balanced web servers for the app and web layer and a clustered SQL Server setup for the back end. 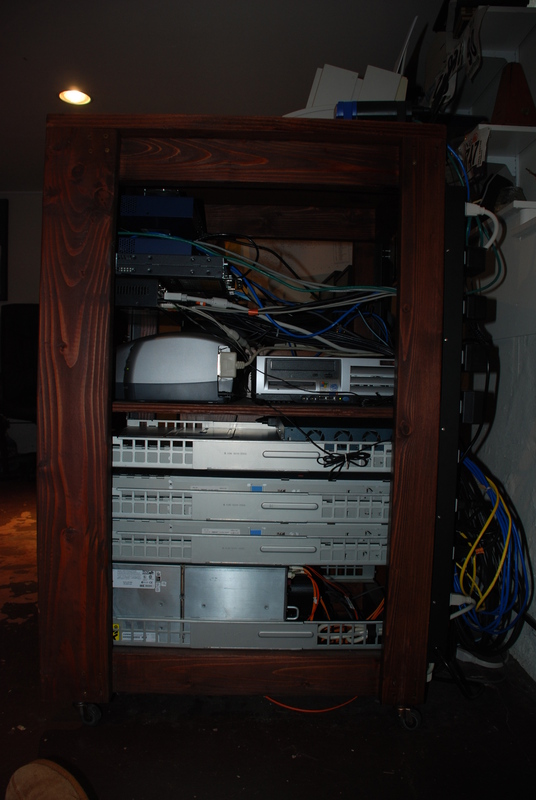 And additional file server would host static content for the web servers. 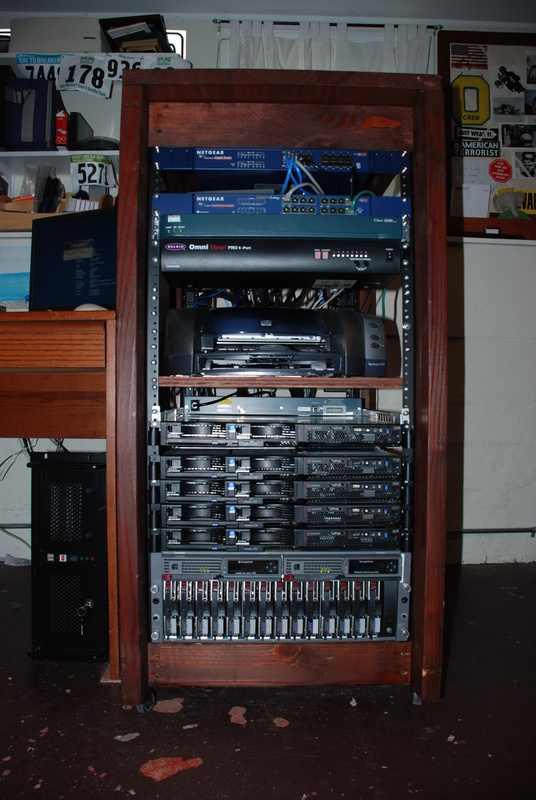 My lab consists of five IBM eServer x336 1U boxes with dual dual-core Xeon processors and 8GB of RAM each. 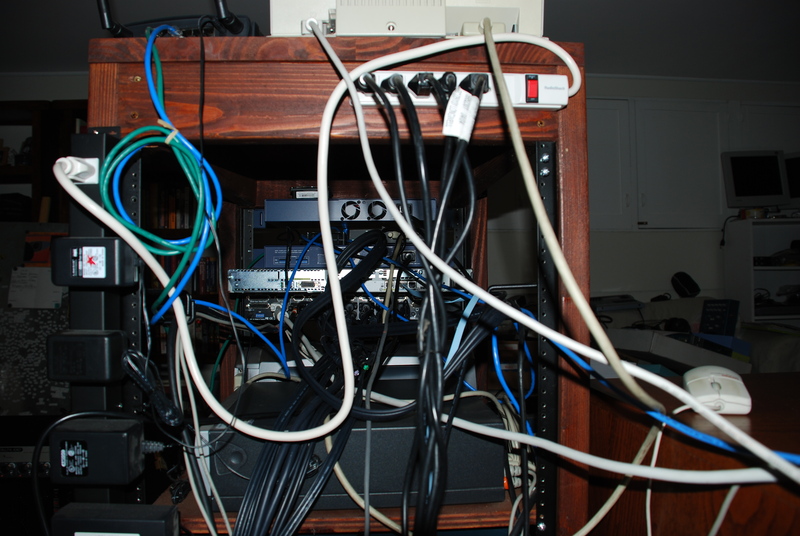 They are connected via 4gb Fiber channel to a HP MSA1000 SAN. 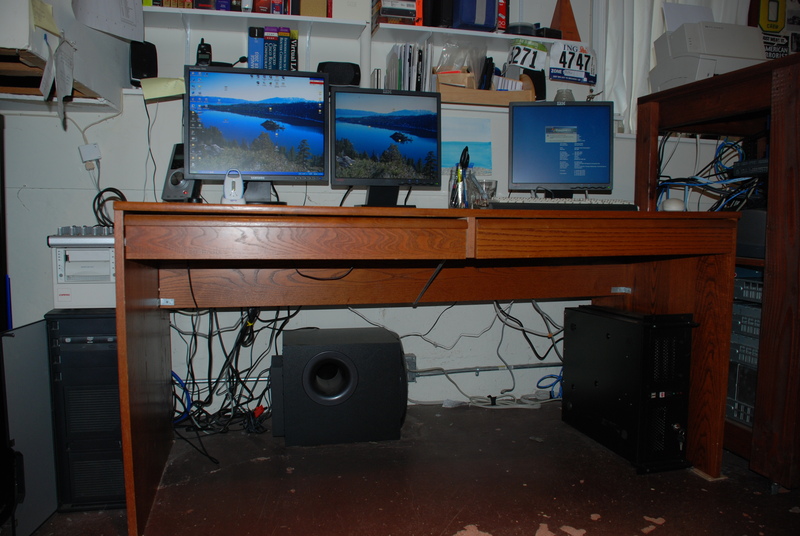 My desk with two PCs, three monitors and a subwoofer. The cabinet with the lab is on the right. Top of the cabinet from the rear. 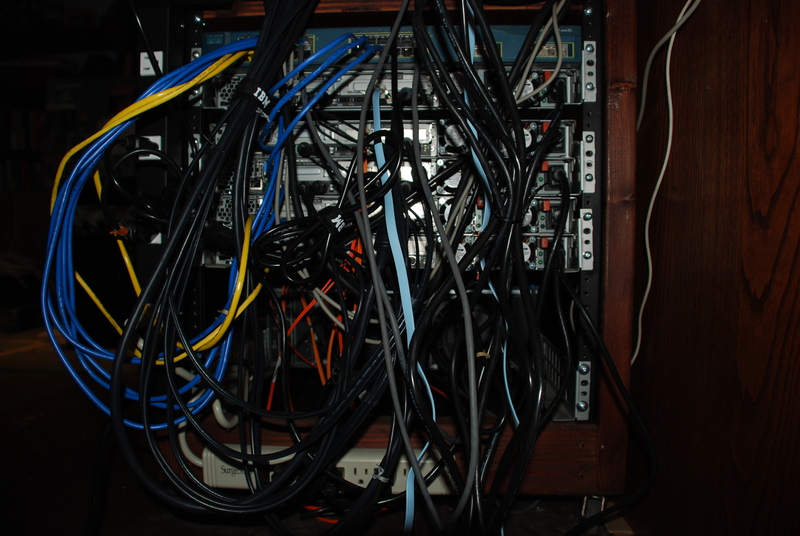 The bottom of the cabinet. The fiber connections are barely visible in orange. Side shot. There’s a HP desktop in there acting as a domain controller. Another shot of my work area. Create an Ubuntu AMI on Amazon Web Services with AWS utilities baked in.